Do you feel like the walls are closing in on you? Maybe quite literally the roof of your house is falling in, maybe your house needs major repairs… Are you facing any other house related issues? Foreclosure? Taxes? Inheritance? 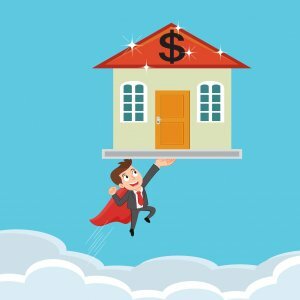 If you’re facing any of these problems, you’re probably thinking, “I need to sell my house for cash in San Antonio.” Sell My San Antonio House is a company that specializes in helping people quickly solve their house problems by providing a fair cash offer for the house that is causing you distress. Most of the time, it is ideal for people to list their house with a licensed real estate agent. This process will consist of making all of the necessary repairs to the house and listing it on the market for sale. The house will usually sell for market value and the buyer will get third party financing from a mortgage company. In fact, according to the National Association of Realtors, 88% of home buyers use financing to buy a house. Why does this matter to you? Because it takes an average of 46 days for the buyer’s loan to close! If you need to sell your house FAST in San Antonio, selling to a cash buyer will be much faster. Sometimes, cash buyers can purchase your home in as little as 5-10 days. Another factor to be aware of is that popular loan programs will not approve a loan for a house that does not meet its requirements meaning that you will have to make expensive repairs to your house before you can sell it to a buyer that is using financing. When selling your house, something else to consider is the closing costs. Closing costs can rack up fast! We’ve taken the pain of closing costs out of the equation for our sellers and pay all of the standard closing costs. Zillow tells us that closing costs can be around 5% of the sales price of the house! Imagine having to fork up 5% just to sell your house! If you sold your house for $100,000, you would have to pay $5000! When you sell your house for cash to Sell My San Antonio House, we cover that cost for you. I’ve worked with a lot of people who tell me, “I need to sell my house for cash in San Antonio.” We help them through the entire process and make everything as easy and quick as possible for them. When you sell your house for a fair cash price to Sell My San Antonio House, you don’t have to make any repairs to the house. I mean it! You don’t even have to sweep the floors. 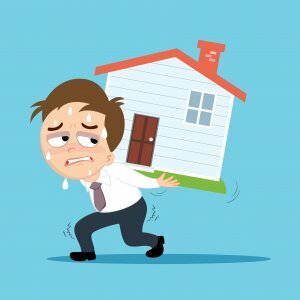 “It’s time to sell my house for cash in San Antonio.” If that’s what you’re thinking, don’t allow your house to cause you any more stress. Call Nick right now at (210) 201-6644. He’s a local cash home buyer in San Antonio that has been doing this for about 10 years. It’s time to move on with your life and say goodbye to that problem property. You can find more information about selling your house fast for cash throughout our website!